Castles. The word conjures up images of kings and queens, lavish celebrations, and fierce battles. They are often shrouded in legends and myths – adding to the mystical quality of these enduring stone structures. Great Britain is home to some of the most famous castles in Europe, e.g., Edinburgh Castle, Tower of London, and Windsor Castle. It also has its fair share of lesser-known, but still historically significant castles. A castle tour of Great Britain will not only give you a sense of the history of this dynamic island, but also a wonderful way to view both its lush countryside and vibrant cities. 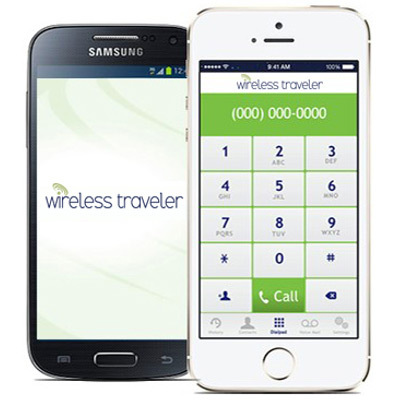 The famed Edinburgh Castle is located in one of Europe’s most visited cities. Built into the rugged rock above the city skyline, the castle has withstood sieges, invasions, power struggles, murder, and imprisonment. Today, the castle protects the Scottish crown jewels. The 500-year-old crown, sword and scepter were used at the coronations of the kings and queens of Scotland. The castle was also the keeper of the clock. Every day at 1 p.m. a loud gun would fire, signaling the correct time to sailors at sea and to the locals, because so many people couldn’t afford a watch. If you take a tour of the castle, try to be there at 1 p.m. as they still perform the daily firing of the gun. Be prepared to jump a little at the sound! While not historically as significant as the Edinburgh Castle, Doune Castle is worth a visit. It is an example of a 14th-century medieval courtyard castle. When you visit Doune Castle, you not only see the grand cathedral great hall, but you can enjoy the views from the battlements of the River Teith and the surrounding countryside. 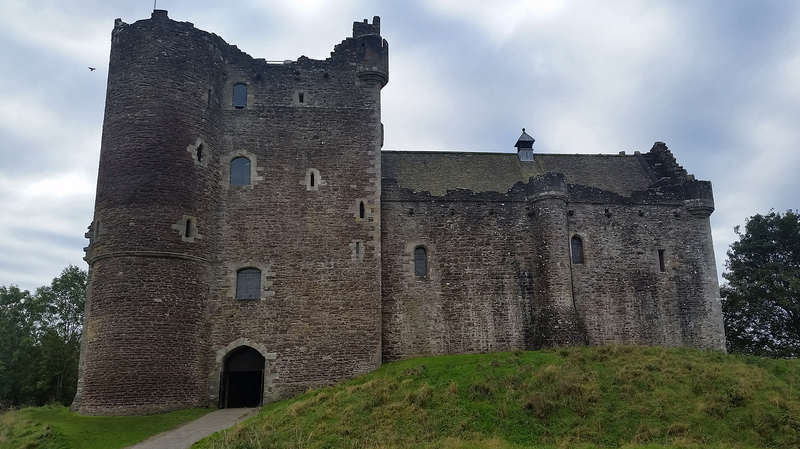 In more recent times, Doune Castle has gained notoriety for being featured in the Monty Python and the Holy Grail movie, and the Outlander and Game of Thrones TV shows. 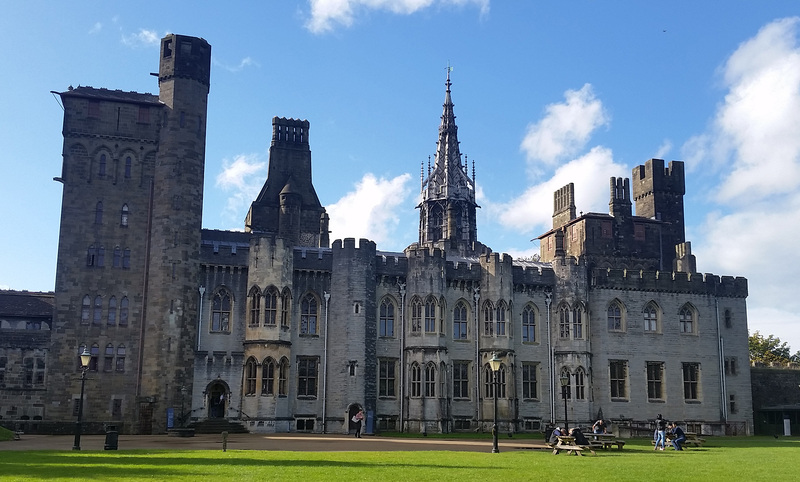 Cardiff Castle is located in the heart of Wales’ capital city. Starting as a Roman fort in the 50s AD, it has been a site of historical significance for 2,000 years. The 5th Marquess of Bute gave it as a gift to the city in 1947. Cardiff Castle has an impressive series of tunnels and these were used as air-raid shelters during World War II. People living or working close to the castle would seek shelter when the sirens sounded. The beautiful Bute Park, once the back garden of the castle, and the River Taff surround Cardiff Castle. 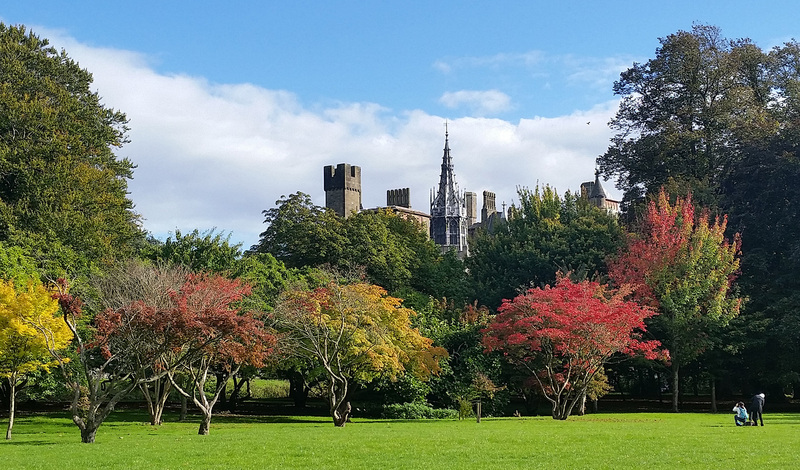 A stroll through the park or riverboat ride is a nice way to round out your visit to Cardiff Castle. 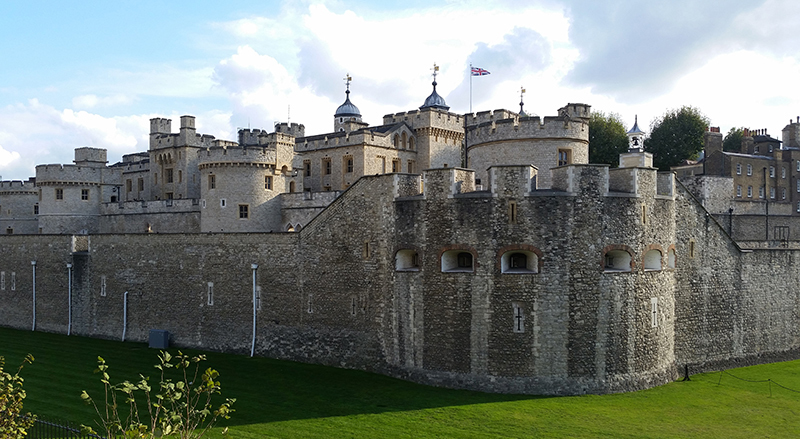 For over 1,000 years, the Tower of London has stood reign over the city. It is steeped in history and intrigue, having served as both a castle and a prison. Tour guides will regale you with tales of torture and execution, which included three queens of England. The Tower of London is also home to the British Empire’s priceless Crown Jewels, which have been on public display for over 350 years. There is a wonderful 13th century reenactment in period costumes each day, so take that in if you have the time. Windsor Castle is the oldest and largest occupied castle in the world. Built in the 11th century by William the Conqueror, it has been the home of British royalty for almost 1,000 years. The grounds of Windsor Castle (13 acres) include several homes, a large church and the royal palace. It is the spiritual home of the Order of the Garter, the oldest order of chivalry in the world. Windsor Castle is still a working palace and the weekend home of Queen Elizabeth II. If you visit Windsor Castle, look for the flag flying from the Round Tower. If it is the Royal Standard flag, you’ll know The Queen is there as well.